We have teamed up with David Beavis of Task Force Matters to offer coaching services to new and existing clients. Packages are available which include a full day one on one coaching session with a new employee hired through Trusted Recruiter. David Beavis is a Master of the Institute of Sales Management (reg no. 716384) and has designed and delivered sales training and customer service training courses throughout the UK and Europe. Having over 20 years’ hands on experience in managing and coaching sales teams in the Healthcare Market, selling to NHS Hospitals, Social Services and Nursing Homes, this means that Task Force Matters Ltd is well placed and experienced in specialising in how to succeed in the supply of goods and services within this growing and ever changing adaptable market place. Give us a time and date for interviews and we will shortlist candidates on your behalf for interview. Saving you the time of trawling through CV’s and hassle of shortlisting. There is no additional charge for this service! Are you a large or growing company and wish to maintain a certain type of company culture. Psychometric testing is a great way to get a more in depth understanding into a candidate’s way of thinking and decision making. Please speak to your consultant for more information and a free sample. As opposed to our usual flat rate fee recruitment structure we are always open to alternative agreements which mean we offer our experience on a long-term basis working closely with your business to recruit on a frequent basis or produce a recruitment team. 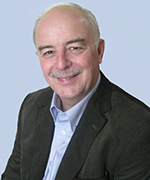 Managing Director Antony Elkington runs our personalised consultation service. This is a face to face in house service. Email us here contact@trustedrecruiter.co.uk or call us on 03330 144014 to find out more.